Ronnie Di Stasio is returning to where it all began. Ronnie Di Stasio and Rosco, Bar Di Stasio. 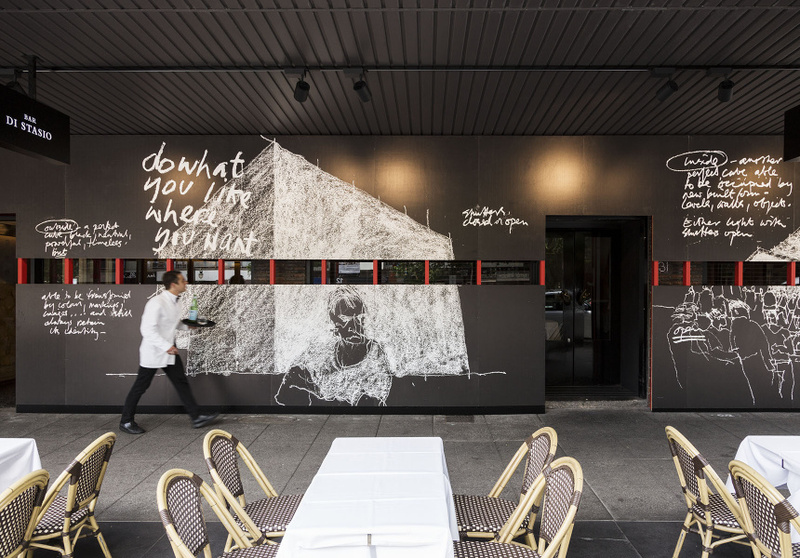 The current Cafe Di Stasio on Fitzroy Street, adorned with the 2014 Venice Biennale Australian pavillion sketches by Barrie Marshall. Bar Di Stasio, Fitzroy Street. 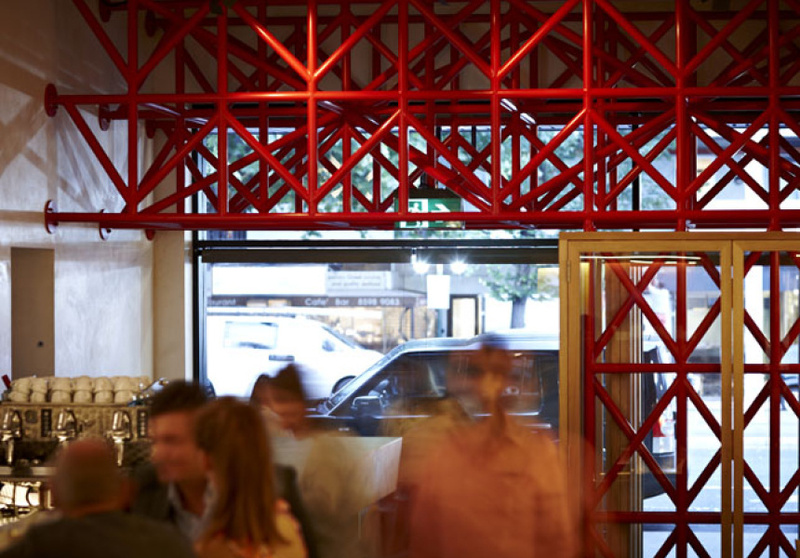 Call it “the Milan end” of Melbourne: Ronnie Di Stasio does. Last week, the man behind St Kilda’s Café and Bar Di Stasio finalised the purchase of a Spring Street property opposite Treasury Gardens. 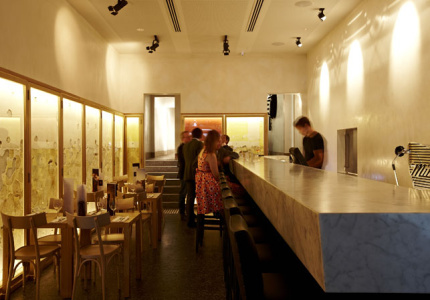 Between Collins Street and Flinders Lane, the site will become Di Stasio Citta. The facade has been hidden behind scaffolding so long it’s almost forgotten – a building to be hurried past on the way to somewhere else. Safe to say with this news it isn’t staying that way. 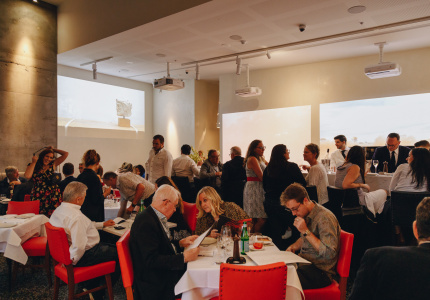 Di Stasio is of course referring to Rosati, the Flinders Lane restaurant he opened in 1985 with Piero Gesualdi​ that laid a foundation for the laneway culture to come. 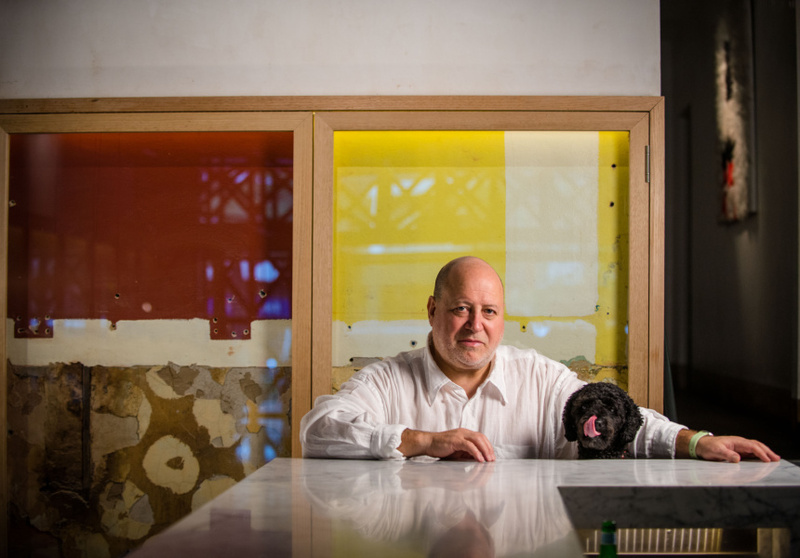 But it was his eponymous restaurant Café Di Stasio, and the next-door bar he opened in 2013, that cemented him as one of this city’s best-loved restaurateurs. In early October Di Stasio was approached by Cbus, the super fund developers that recently added to its Spring Street portfolio. Things progressed quickly. At such an early stage Di Stasio is sparing with details, but has engaged two Australian artists who both exhibited at the recent Venice Biennale to work on the project. Architects for the restaurant will be Hassell, the international design studio who’s Melbourne HQ is two blocks away on Little Collins Street. “Every 30 years you’re entitled to a hole in one,” Di Stasio smiles. It's a joke, but if past form is anything to go by, he just might have one on his hands. Di Stasio Citta is slated for a June 2018 launch. Subscribe to the Broadsheet newsletter for the latest.